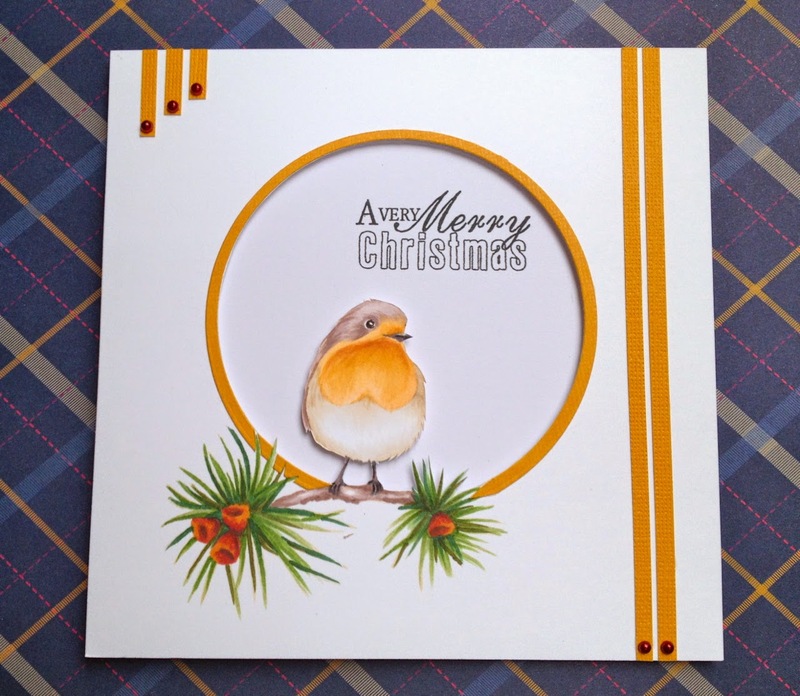 I Have made a little card using my favourite ‘Berries & Birds’ set, they are so lovely! 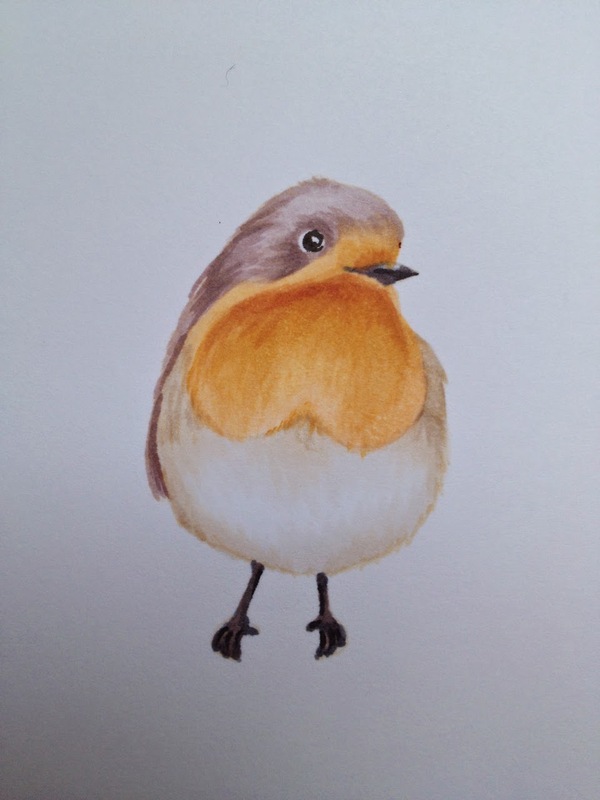 We have a baby robin in our garden who comes everyday, its so cute with half a red breast and lots of fluffy feathers. We have called him ‘Bobin’. I have used ‘Wink’ on the berries and Promarker’s for the rest of the colouring in. 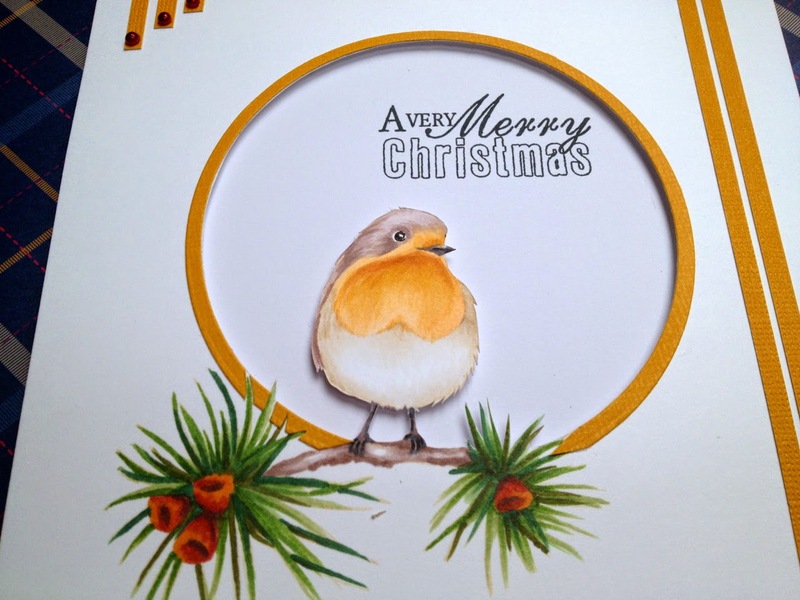 (1) Stamp up one ‘robin’, several ‘holly and berries’ and one sentiment onto stamping card. (2) Colour in all images and cut out, leaving a small white edge around edges. (3) Edge card blank with inkpad, cut a red square of card, stick to card front. 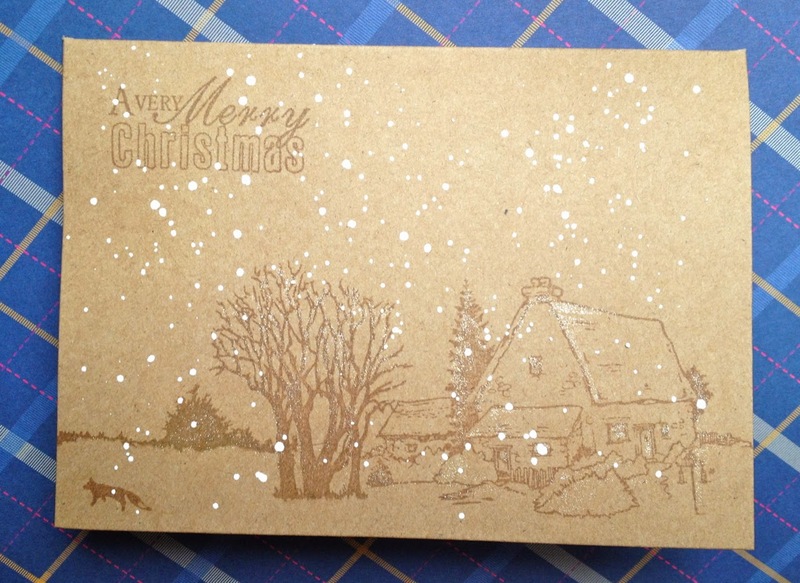 (4) Cut a white square, again edge with ink and stamp ‘holly and berries’ image all over randomly. (5) Punch two edges from card square. (6) Ink around and matt sentiment onto red card and stick to card front. (7) Arrange ‘holly & berries’ images around sentiment, stick down. 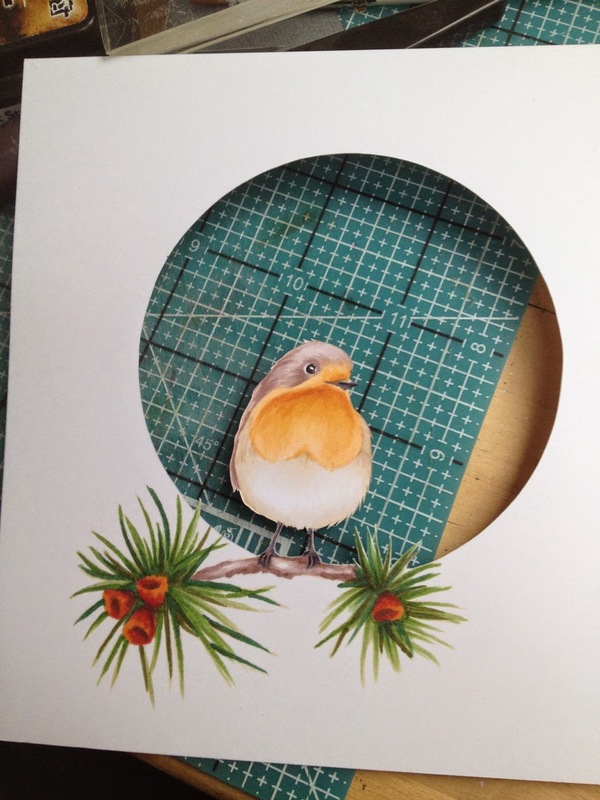 (8) Add sticky pads to back of robin image and place sitting on branch. (9) Add red ‘Wink of Stella’ to berries, leave to dry. (6) Add small pearl to top of sentiment. This entry was posted in News, Tutorials on 24/08/2015 by Heidi Green. Hi everyone wow what a busy show it was last month and yes I have been that behind in doing my posts, Oops! Anyway I just loved all the stamp sets in the show I really couldn’t stop playing with them so I thought I’d do a few posts for you all with my makes. To start with I think we will look at the Winter Snowflake set I think this is such a versatile stamp set that is used over and over on its own or to make snowy backgrounds. To start with I used some heat resistant acetate and stamped out 3 of the snowflakes with a veramark ink pad and heat embossed with a white embossing powder. Cut a card blank to 6×5, cut a piece of silver mirror card to fit in to the card blank leaving a thin boarder and the same again with a piece of white card onto the mirror card. 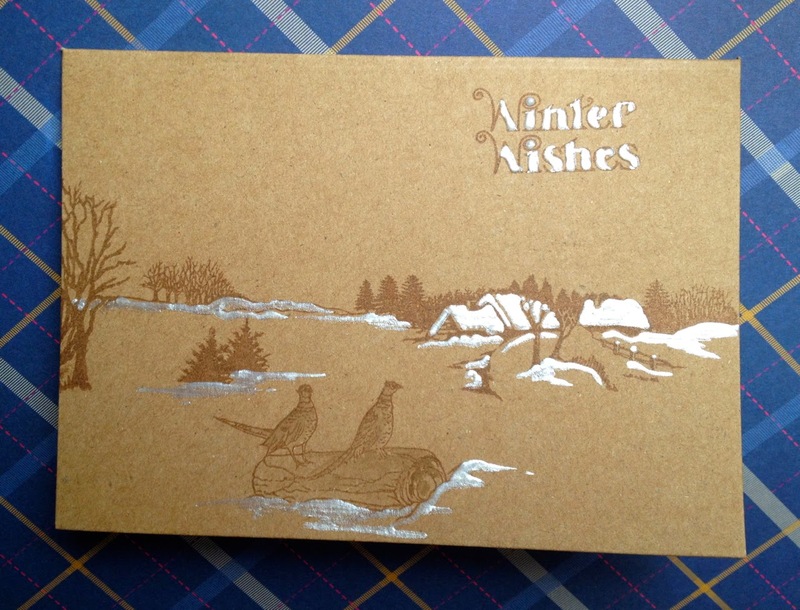 On the white card cut to fit onto the mirror card using two of the smallest size snowflakes randomly stamp them all over the card using a metallic silver brilliance ink pad. Stamp the sentiment from the Merry little Christmas again with versamark and heat emboss with silver embossing powder. Cut the sentiment into a banner shape and stick to silver mirror card and cut out the mirror card leaving a thin boarder. Finally add the small snowflake to the top right-hand side and with the larger two, place a brad through the middle to keep the together and bend them slightly to give them some shape, glue next to the sentiment. This entry was posted in News, Tutorials on 18/08/2015 by Laura Wiliiams. Hello, Heidi here to share a blog project with you, using the gorgeous ‘Lavender’ set, which was recently launched. I really love this set, is full of glorious images. 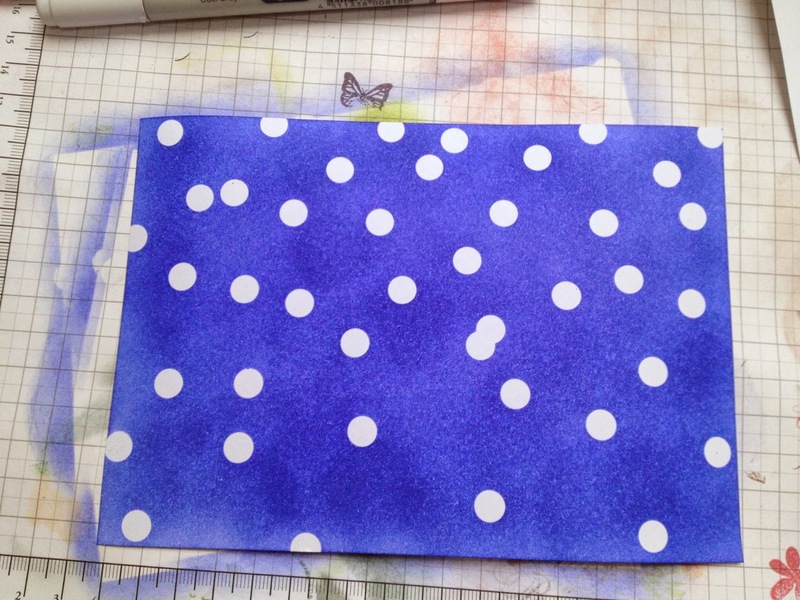 My little card today is very quick and easy to make. I love the shape of the dies with the square card and the ‘Lavender’ elements. I have made a little card using some of the elements, which I have coloured in using my Promarker pens and have cut out the elements to sit together. (1) Die cut ‘Frilly’ Dies in two sizes from purple & lilac Bazzill card, stock together. (2) Stamp up ‘Lavender’ elements of choice, colour in and cut out. 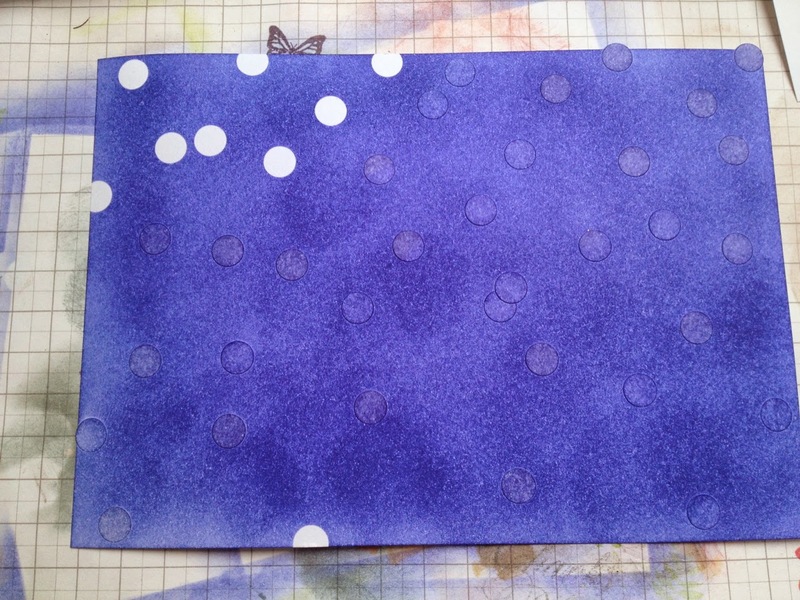 (3) Onto small tiles of white card, stamp up ‘Lavender’ using the ‘Dusky Concord’ ink, edge all round squares with ink pad. (4) Edge white card blank with ink pad, as before. (5) Place all of the elements down onto card, stick together. (6) Place letters around bottom of card, attach sticky pads and stick down. 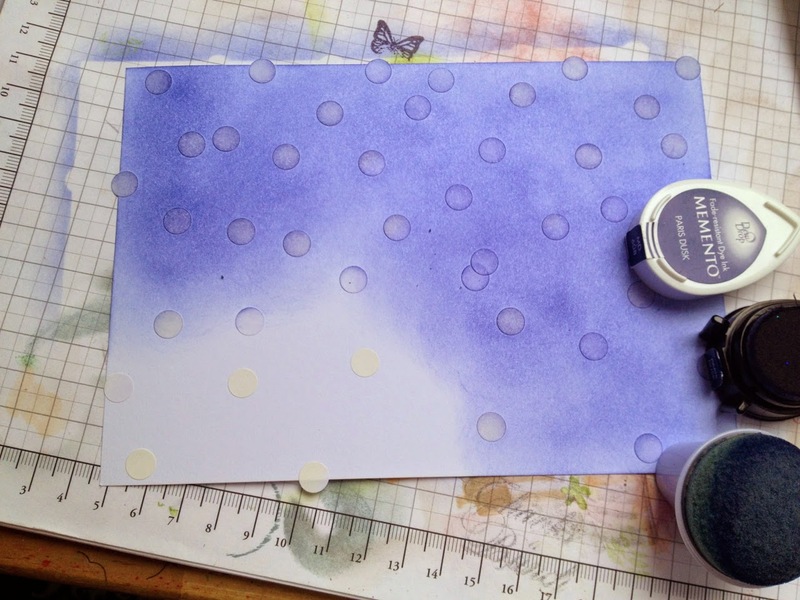 (7) Add four lavender pearls to each corner of card. I do hope you have enjoyed my quick tutorial today, another teamie will be sharing one with you soon. This entry was posted in News, Tutorials on 25/05/2015 by Heidi Green. Just thought I’d share some tags I made for the Christmas Workshop just gone. 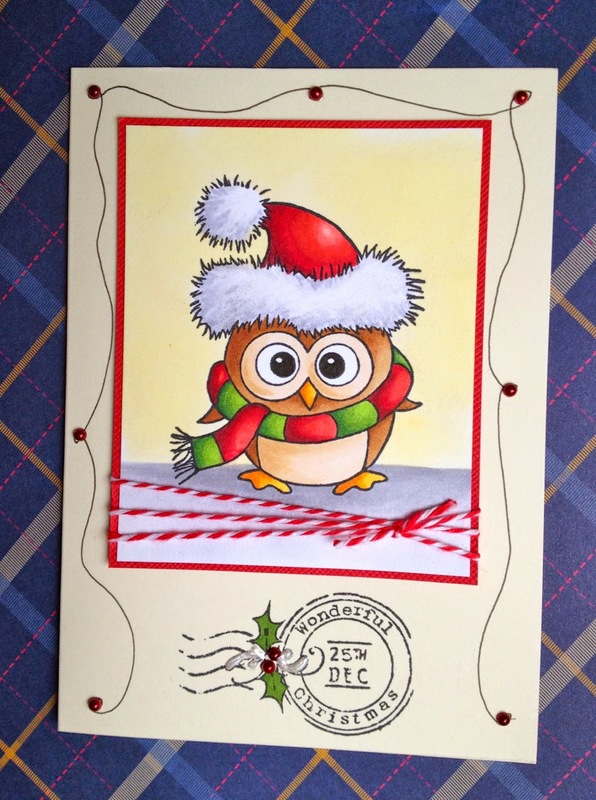 I know I said I would put my tree card up… just thought I would get a bit festive first, with Christmas approaching fast! I absolutely love these Nordic backgrounds and you can make them yourselves no need to buy printed Nordic papers ever again! 1. Put your Tim Holtz Tag Die through a Big Shot or Cuttlebug. I Used a Red Kraft-Core No:4 Coredinations Cardstock. 2. So this is one of my most used dies and it’s thanks to Paula Pascual’s advice. I had the 25 and the deer dies by Tim hotz. Those are magnetic dies and so need a magnetic plate. However this die gives you the magnetic plate as well as being a tag die. Perfect! 3. Ok so this picture isn’t very good for showing the kraft core after I have lightly sanded the edges and made it look a bit rustic. But trust me it looks good. 4. Ok so I didn’t actually take a picture of the red card with the embossing folder (ooops)… but you get the idea. 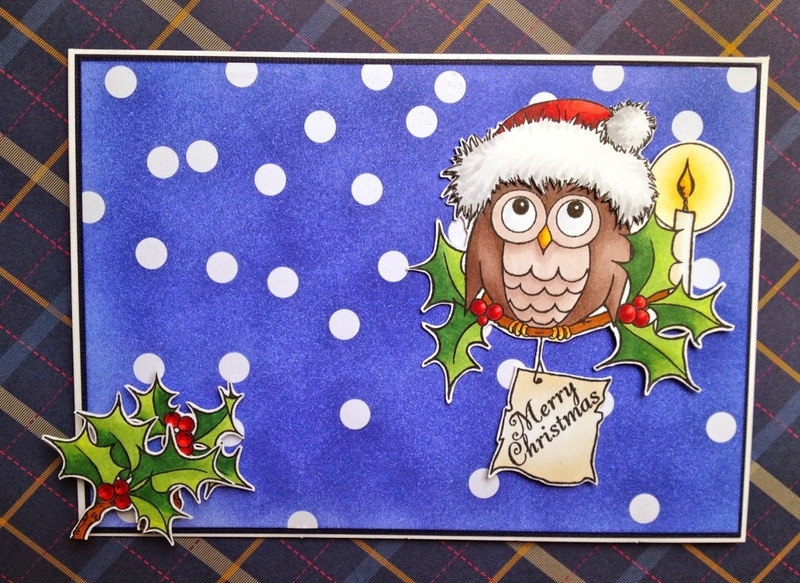 Run the tag and embossing folder through your Big shot or cuttlebug. 5. Really love my little find of these folders they really are gorgeous designs. 6. Sand across the embossed surface and the Kraft Core will really show through! 7. 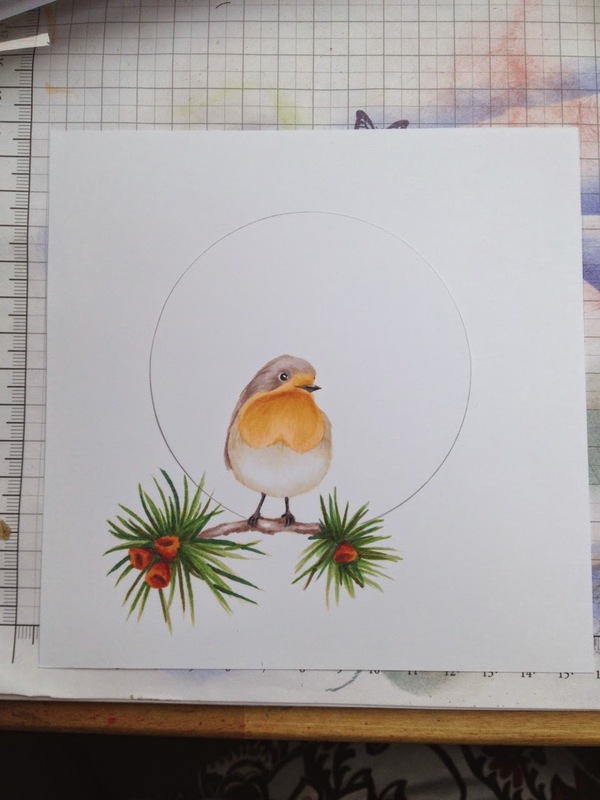 Then I just decorated using the Berries & Birds Stamp set and a 25 Die. As usual all cut out and coloured using Promarkers/copics and a bit of glossy accents on the berries for that little finishing touch. I will show the reindeer one later in the week thought I’d spread the inspiration out rather than craft overload in one hit. 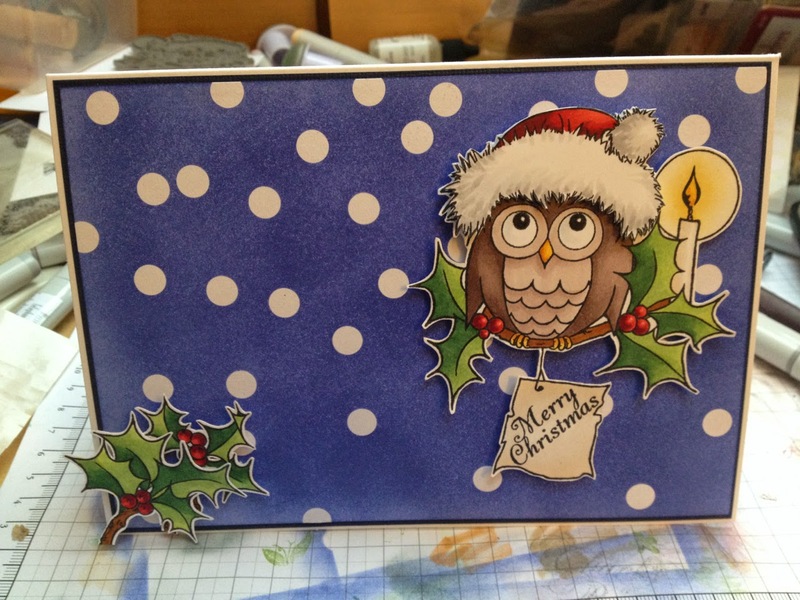 This entry was posted in News, Tutorials on 04/12/2014 by Becki.